In 1851 the value of silver had risen to such a point that the existing silver coins from the half dime to the dollar became worth more for their silver content than their face value. As a result, the mint sharply decreased the production of these coins. To remedy the lack of smaller denominations in commerce and facilitate the purchasing of postage, which was 3 cents at the time, Congress approved the minting of Silver Three-Cent Pieces, also called "trimes". The silver content was lower than the other silver coins of the time, 75% silver rather than 90%, thus the metal value did not exceed the face value. 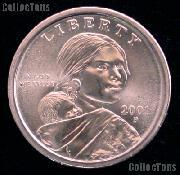 The first Silver Three-Cent Pieces were designed by Mint Chief Engraver, James B. Longacre. The obverse features a Union shield within a star. The legend 'UNITED STATES OF AMERICA' encircles the star and the year is stamped below it. The reverse features a large letter C enclosing a small Roman numeral III. Encircling the letter C are 13 stars. The Silver Three-Cent Piece was the first circulating U.S. coin not featuring the figure of Liberty. There are three varieties of Silver Three-Cent Pieces. The first variety features a star with a single border on the obverse. This variety was minted from 1851 to 1853. In 1854 the weight of the coin was reduced and the silver content was increased to 90%. On this second variety, two extra lines were added to the border of the star on the obverse. On the reverse, a sprig of olive branches were added above the Roman numeral, and a bundle of arrows was added below. In 1859 the border of the star was reduced to two lines, and minor modifications were made to the lettering and date. Mintage of the Silver Three-Cent Piece declined steadily until it was discontinued in 1873.